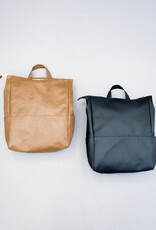 The Metropolitan Backpack by Lee Coren. 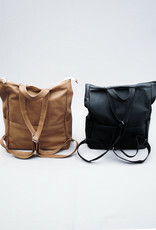 A bag perfect for city-dwellers-- for your daily get-things-done needs but also great for exploring. 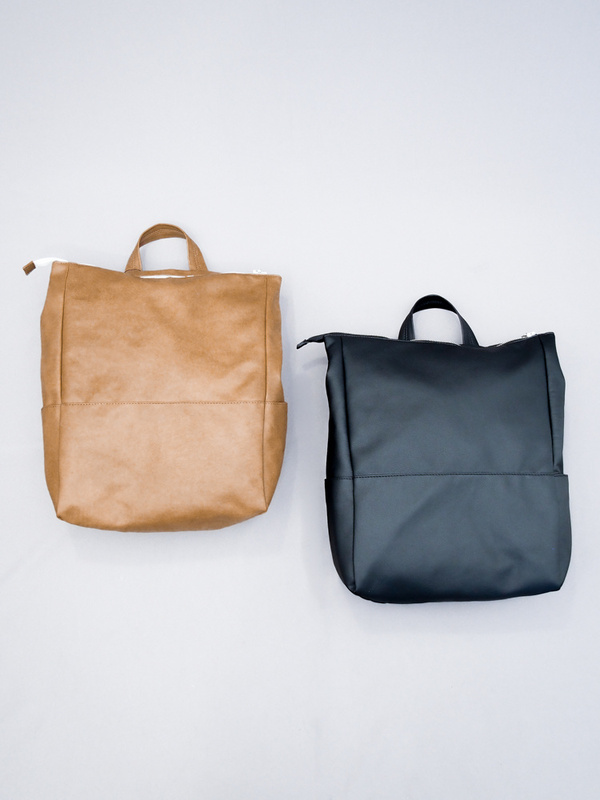 This backpack is made for anyone on-the-go, and the hidden compartment in the back secures your belongings while out and about! 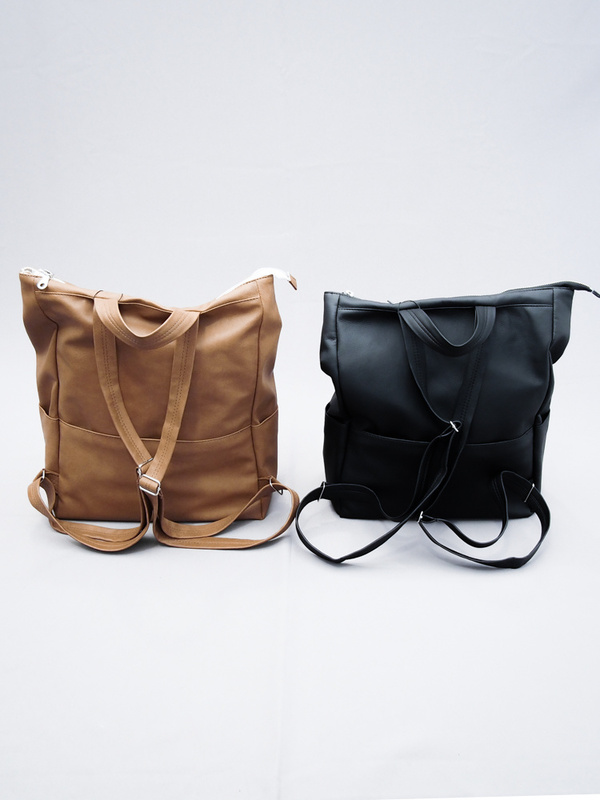 Measures 16" x 14.5" x 2-5"
100% handmade. 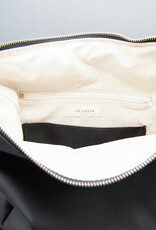 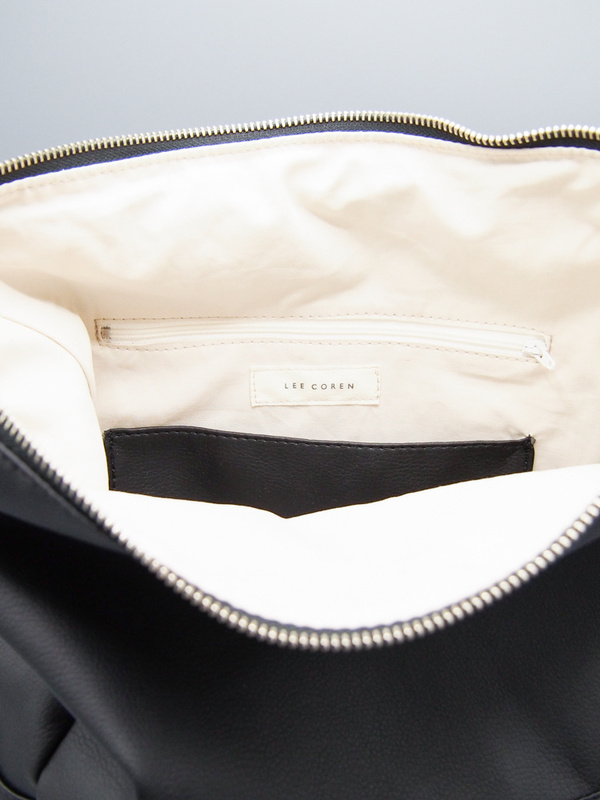 Lee Coren bags are designed and crafted ethically and locally from vegan materials.